What a great way to spend a Friday night as a family but to be at one of our favorite places – Children’s Theatre of Charlotte. My family loves this theater and also loves the classic story of the The Wizard of Oz. 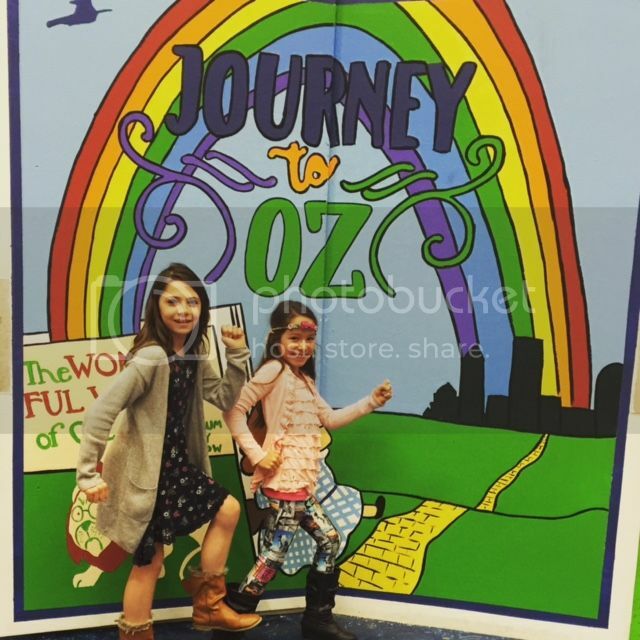 We were thrilled to attend opening night of Children’s Theatre Presents Journey to Oz and possibly be part of show. This particular show was different from the others we have seen in the past because it was an interactive show with audience participation in the center of it all. Journey to Oz was filled with lots of laughter and great fun! The girls were selected to be a part of the show and played characters from Emerald City. They marched proudly and absolutely loved being on stage. They were over the moon to have been selected. This is a great family show for preschool ages up to elementary school age. The set has all the elements from this classic story and talented actors who have you engaged throughout the whole performance. One of the things that I loved about the performance is that the performers were very versatile in switching character roles and improvised when needed. They were great at making everyone feel like a part of the show. The audience is in the middle of the action in this fun, experiential show as Dorothy and her friends battle the Wicked Witch to find the brains, the heart and the courage they never knew they had. Inspired by L. Frank Baum’s original stories, this clever adaptation puts the audience front and center — really! 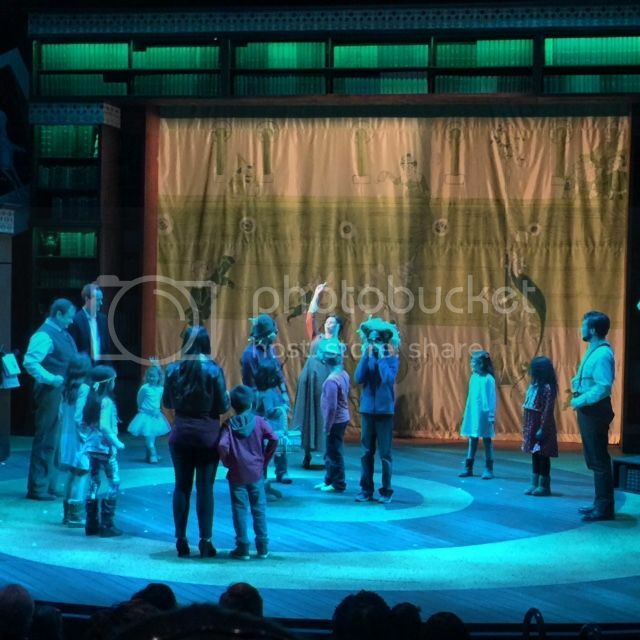 In this version of the classic tale, actors pick audience members to come on stage and play different beloved characters. Come see Journey To Oz and find out why there’s no place like home. 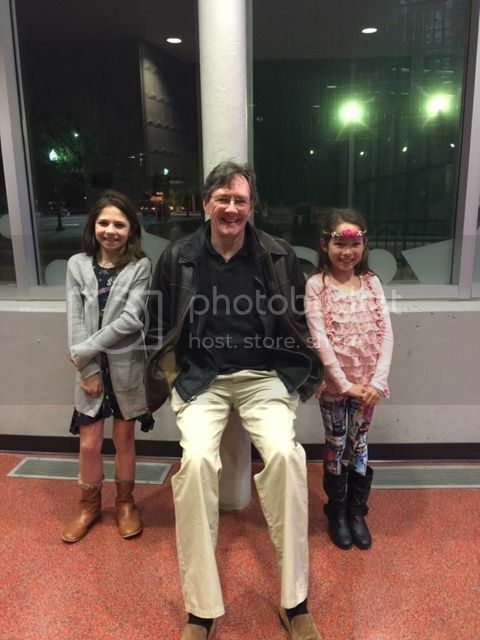 After the show, we got to explore the interactive activities that surrounded the theatre and we got a special treat and met the talented Dan Brunson, who played Tin Man and the Wizard. So don’t wait any longer to enjoy this show with your family and have lots of laughter. Just follow the yellow brick road to the Children’s Theatre of Charlotte! This wonderful show is from Feb. 19th – March 6th. There are still tickets available here. To get you just as excited as we are about the Journey to Oz at The Children’s Theatre of Charlotte we want to set up (1) lucky reader with a (2) pack ticket voucher. Winner has a choice of show date & time (with the exception of sold out shows). Love this review…I cannot wait to see Journey To Oz!!! Thank you for keeping us informed of these awesome events!! This sounds like such a fun family show! Thanks for the info. Ladies – definitely check out the show with your families. You will love it!